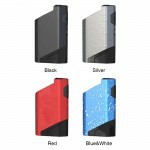 Wismec HiFlask Kit comes with 2100mAh built-in battery and 5.6ml cartridge. 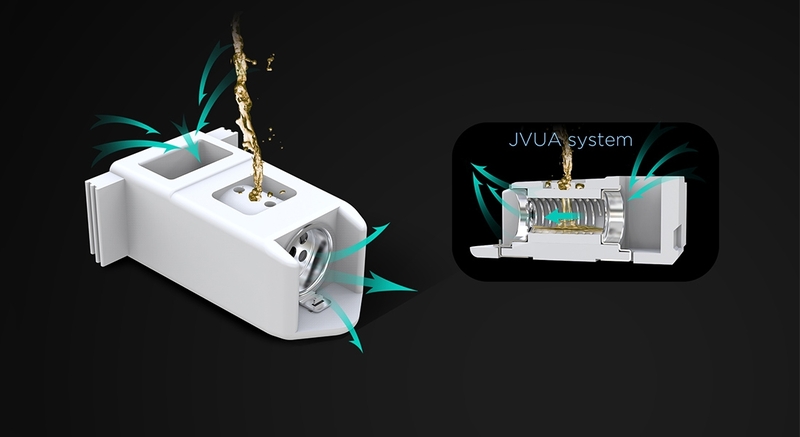 The starter kit utilizes innovative JVUA (Juice Vertical & U Airflow) system that is the first application for Wismec ecigs, offering you pure flavor and large clouds. 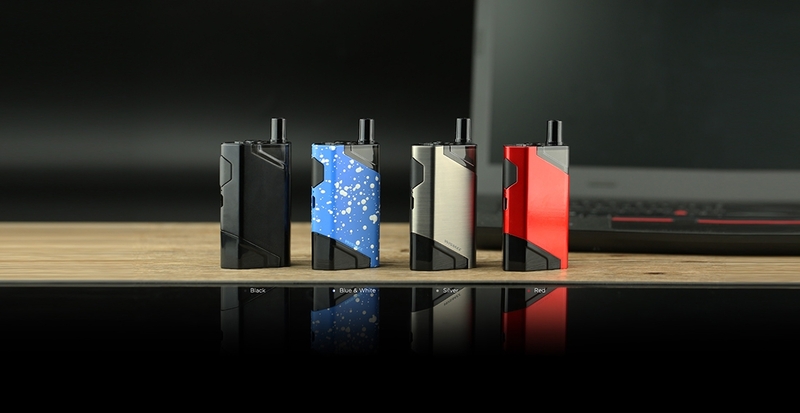 By rotating the airflow control switch, you can adjust the airflow to enjoy different vaping experience. 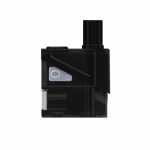 The unique design of cartridge lock makes HiFlask much more attractive and popular. In addition, you can charge the HiFlask by connecting it with a computer or a wall adapter via USB cable. ➤ 7. Made from PETG and Silicone, which are healthy, heat resistant and recyclable. ❤ Please read the user manual carefully before using Wismec HiFlask Kit. ❤ Simply charge the HiFlask by connecting it with a computer or a wall adapter via USB cable. The indicator light will keep in red while charging and go out when it is fully charged.